You know now the New Yorker has its caption contest each week? 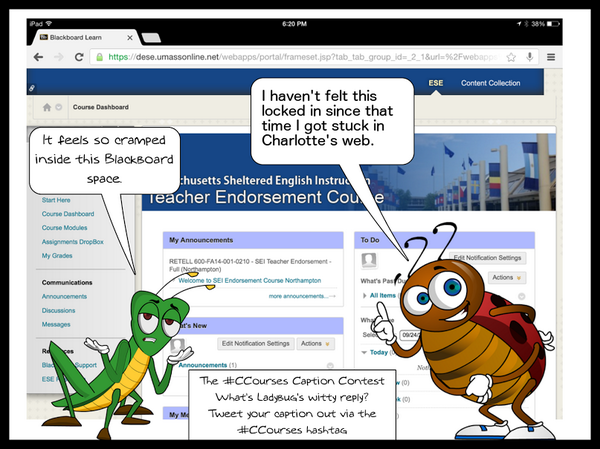 How about one for the Connected Courses? 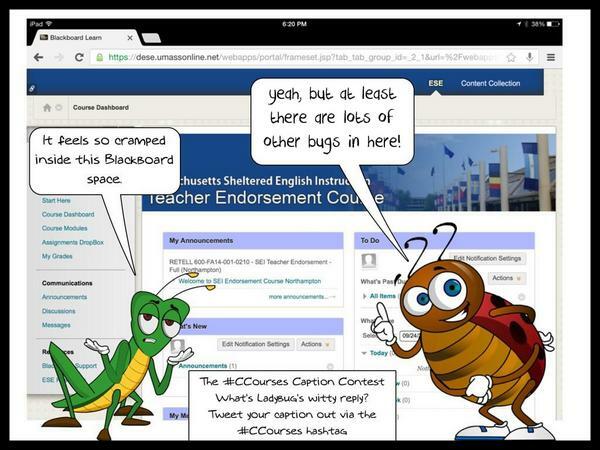 I’ve taken a screenshot of a Blackboard LMS I am going to be forced to use as a student for a state certification program, and added a few, eh, bugs. Your task? What’s the ladybug saying? 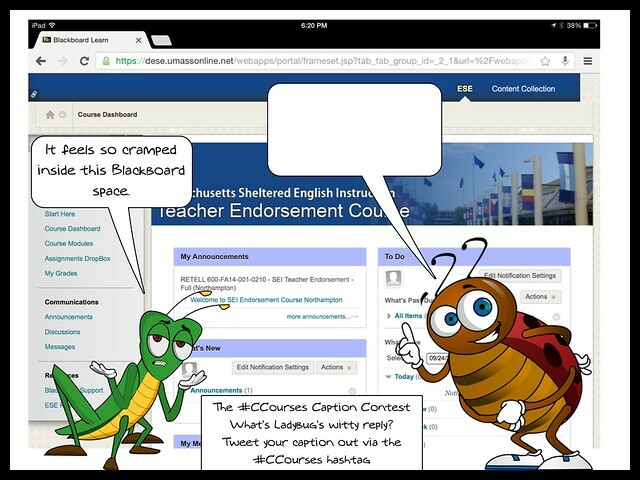 You can either leave it as a comment to this post, or add it on Twitter with the #ccourses hashtag, or share it elsewhere. If you are adventurous, you can even layer in your caption/dialogue into the original but that’s not required. Just have fun with it. That’s what’s required.